Merry Christmas & Happy New Year to all of our friends around the world. We are expanding our reach through airdensityonline.com with air density tuning info to many new motorsports tracks and courses around the world, especially south of the Equator. After: What an event. Thousands of racers, families, friends, and enthusiasts attended this wonderful event; the Boddie team and Sacramento Raceway really know how to put on a great drag racing show; the highlight for me was the grudge race between Boddie’s ProMod Nova and the Dragzine ProMod Corvette; probably over 6,000 HP on the starting line; winner take all; Boddie won it to a cheering crowd; many thanks to the Dragzine team for competing with their first class racecar; like the Dragzine tech articles as well. Before: That time again for Team Boddie drag racing at the Sacramento Raceway, Fri. Oct. 26 and Sat. Oct 27. 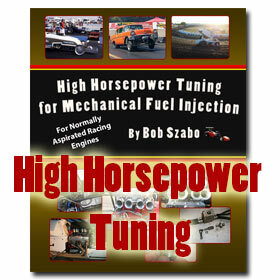 This event usually brings out a lot of drag racing fans to watch 2,000 HP door slammers competing in the fast eighth mi. Let us know if you’re going. We’ll look you up.